It’s that time of year when the days are getting shorter, the temperature is dropping and the shops are selling Christmas items instead of bikini’s and beach towels (which is officially wrong!!). That being said, I intend to draw out the summer as much as possible and therefore am taking full advantage of every ray of sunshine that we have and turning up the heat on the alfresco dining. Those of you that follow me regularly will be aware that I LOVE Mexican food (yes, I know, I say that about every cuisine, but Mexican is particularly awesome). I realised that although I cook it on a regular basis, I never really truly do its authenticity justice; I buy standard chilli’s from the super market and mix them up with every-day ingredients. What I really need to start doing is researching and trying out the real deal. 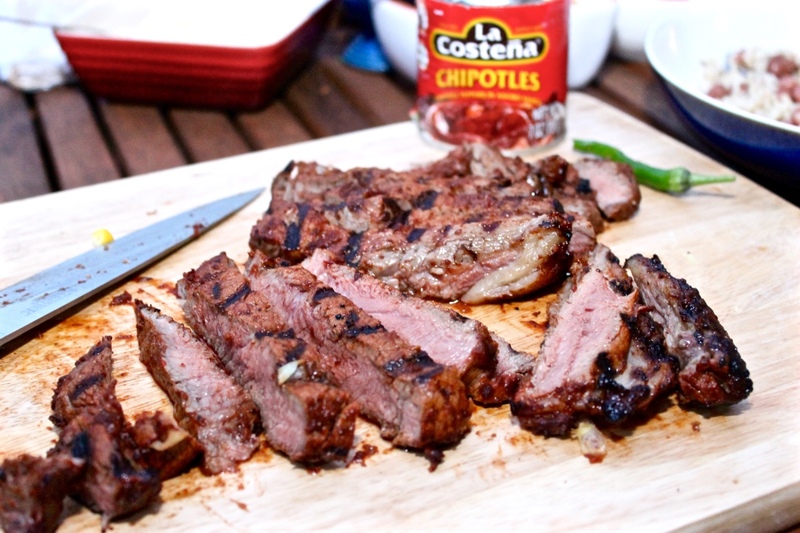 I found this website, http://mextrade.co.uk, that supplies authentic, Mexican sauced products and it provided me with a great deal of excitement!!! 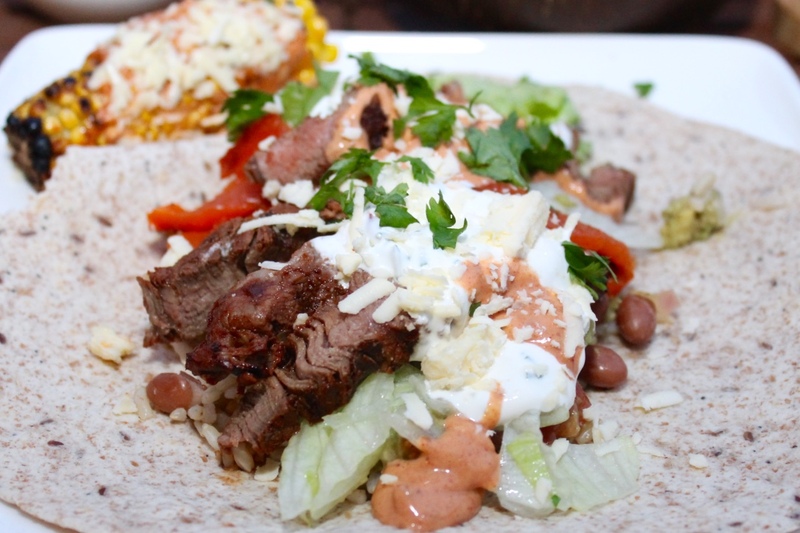 I figured that I should probably walk before I run on the heat scale and therefore have started with chipotle chilli’s, which really gave these barbecued steak burritos a welcome added oomph!! I also mixed some of the chilli’s into a zingy mayo, which not only was amazing in the burrito but also perfect for smothering all over a grilled corn on the cob. 170ml tub soured cream mixed with a handful of chives and the juice of ½ lemon. 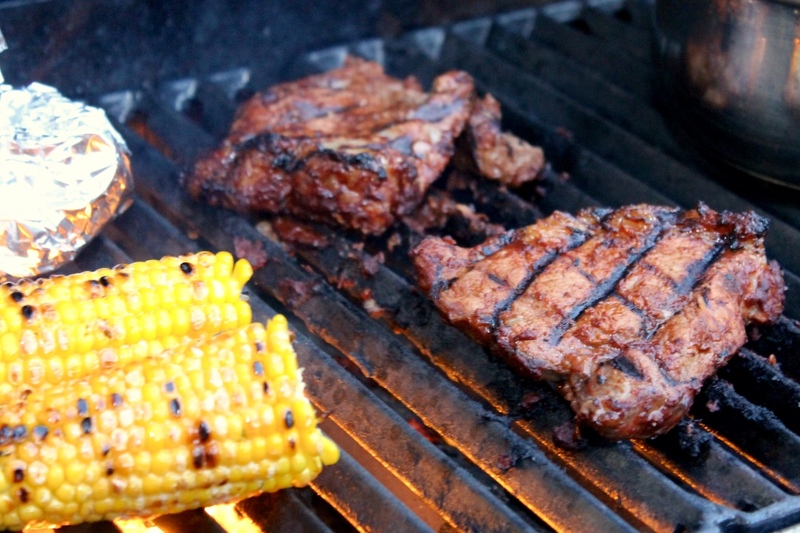 2 red peppers – either griddled on your barbecue or out of a jar –torn into strips. 2 handfuls of brown rice – cooked according to the pack instructions with 1 vegetable stock cube and 200g of tinned pinto beans. Heat a barbeque or griddle to a medium to high temperature and cook the steaks to your liking – time will depend on the thickness of the steak and the temperature, but ours took 1 minutes on each side for 3 minutes for medium rare. Remove the steak and leave to rest for 2-3 minutes before slicing up into strips. Lay out your 4 wraps; how you assemble these up to you, but we had guacamole at the bottom topped with rice, salsa, lettuce, steak and then finished off with your sour cream, cheese and chipotle mayo; BOOM! (You can also add a sprinkle of coriander for some added greenery). Yum! I know what you mean about cooking the traditional way. I have a curry recipe I make quite often that calls for Kashmiri chilli powder, and I’d always used regular chilli until one day I happened to come across the Kashmiri, and you have no idea what a difference it made! So now I tend to go out of my way to get the authentic ingredients! I went to a Mexican restaurant the other day and your food looks just as authentic! Being fair to you, that burrito looks delicious! 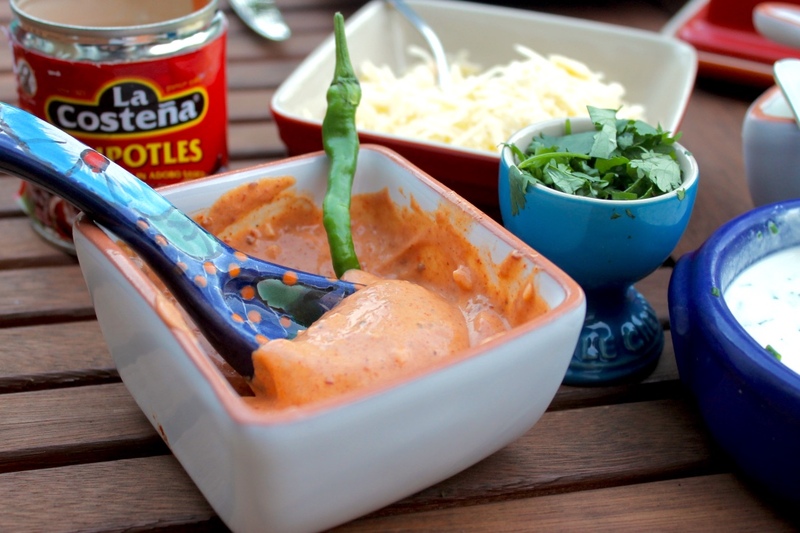 It’s nice to know that someone delights herself with Mexican gastronomy and tries to make it as real as possible. My mom makes Mexican food as often as Middle Eastern, we love Mexican traditions and culture! Nomnomnomnom! 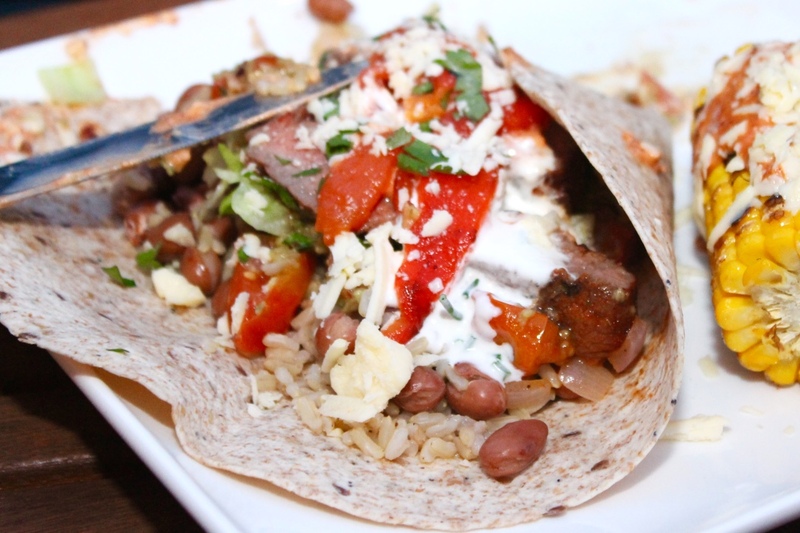 I love chipotles! Saving these recipes!